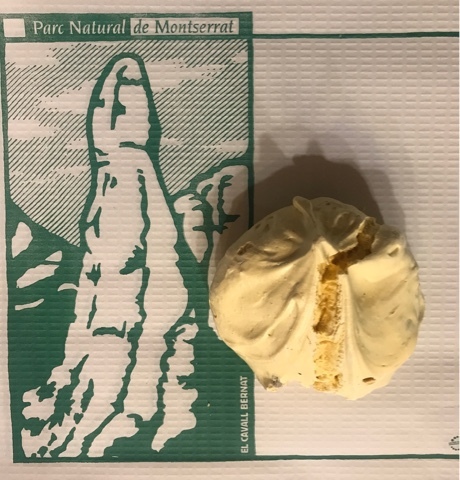 In Barcelona, a meringue cookie filled with hazelnuts is known as a Montserrat, after the famous moutnatin, with its rocky peaks, which the confection is said to resemble. 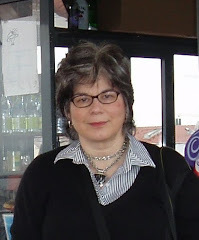 I got to eat one today in its wild habitat, the cafeteria of the Montserrat monastery. I had a choice of lemon (which was pure white) or vanilla (yellow). You can see my choice above.